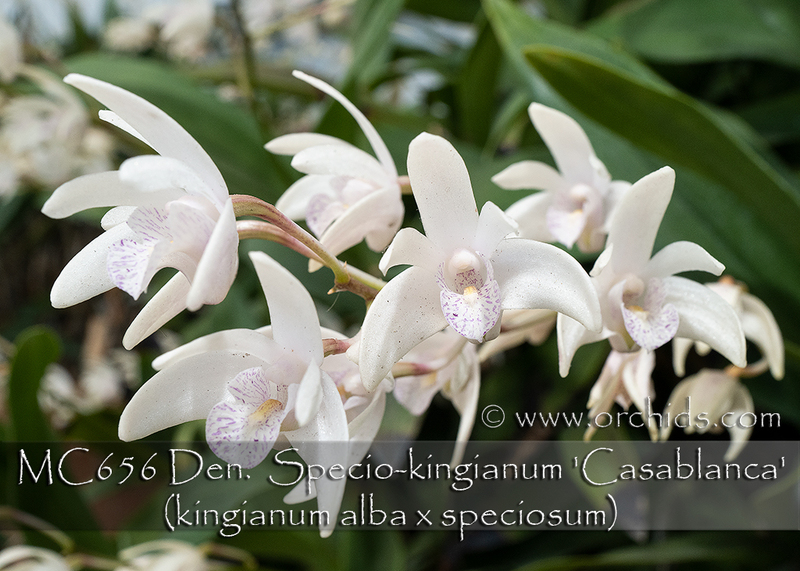 A wonderfully fragrant hybrid resulting from two great Dendrobium species ! One of the easiest of all orchids to grow, these robust plants are carrying 8-10 canes and can easily double in size each year. Abundant cascades of pristine small white flowers are produced readily, from winter to spring, in response to a fall chill. Limited and highly recommended !